Have you ever thought about what the one thing is that all songs have in common? I mean, any song, all songs? Those heard on itunes, spotify, youtube, lps, bars, church, cd’s, albums, radio, commercials, movies, tv shows, concerts. What element must they all have? They must have someone to write the songs. Without songwriters, songs simply would not exist. A talented songwriter can make you feel. In just a few words, they can inspire you, remind you or move you to tears or a place of great joy. These special souls help us all experience the Power of Music. 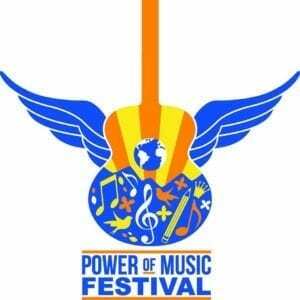 Northwest Arkansas, specifically Bentonville, will play host to the The 2018 Power of Music Festival. Hall of Fame songwriters along with local and regional songwriters will gather and share their stories, we’ll all be privileged to sit at their feet. Drawing on outstanding local and national performers from multiple genres, The Power of Music Festival plays host to the best in the business. The second annual event will be held in downtown Bentonville on April 26-29th. Tickets are available now. 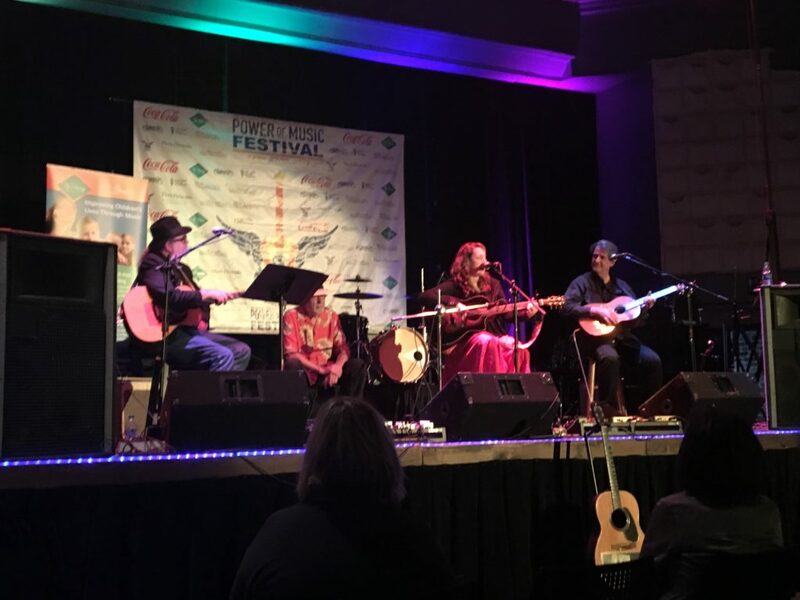 The festival is presented by the I’ll Fly Away Foundation, based in Bentonville. 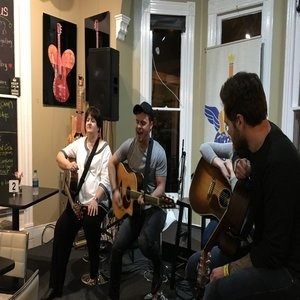 Proceeds will benefit the organizations’s You Can Fly Songwriting Program, which allows area students of varying developmental levels to use songwriting to connect to their own creativity. As part of this program, established songwriters come into schools to personally craft songs with students. The uniqueness of this program is that the children write the songs about what they are learning, while the songwriter guides them through the songwriting process. The program has already seen marked success in elementary schools in McDonald County, Missouri, and will expand into Northwestern Arkansas in 2018. 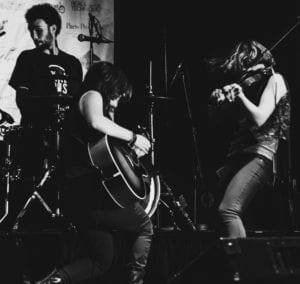 The fast-rising Indie-American band from Traverse City, Michigan, The Accidentals, will be performing at the festival. The lineup will also include Nashville vocal group Farewell Angelina, Latin rock ‘n’ roll band Making Movies, folk artist Steve Poltz, inspiring Texas rapper Saul Paul, American songwriter and Arkansas native David Starr, songwriter Keith Sykes and Emmy-winning composer Jonathan Wolff will be performing. Al Bell is a passionate supporter of the festival, and he is also a successful record producer, songwriter, and record executive. He is best known for having been an executive and co-owner of Stax Records. How can the people of Northwest Arkansas help support this worthy cause? 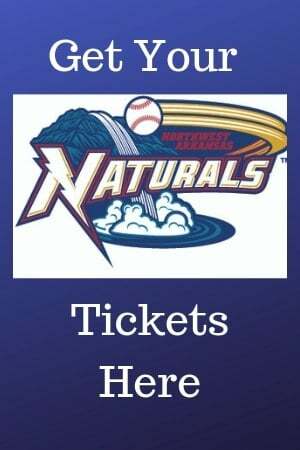 Buy a ticket! Volunteer at an event! Donate! Together we can make 2018’s Power of Music festival a screaming success. Steve Dorff will be inducted into the Songwriters Hall of Fame in June. He will be at The Power of Music Festival for two performances. His book “I Wrote That One Too…” will be available at The Walmart Museum and he’ll be signing books at a VIP event on Friday and during the Bentonville Farmer’s Market on Saturday April 28 in front of the museum from 12-1. For ticket information, artist bios and the full schedule of events. Jerry Salley is a Grammy Winning songwriter. He’ll be a part of multiple shows, and he’ll be leading a songwriting workshop for local songwriters. Jerry is also celebrating his first #1 hit as a performer on the Bluegrass Charts. The festival will also feature panels about key topics in the music industry, such as performing rights organizations, publicity, production, publishing and placement in film and television. Coca-Cola is the 2018 presenting sponsor of the Power of Music Festival. Additional sponsors include Haxton Road Studios, Paris Presents Incorporated, NWA Travel Guide, iHeart radio, Cox Media, Meteor Guitar Gallery, Telecomp, Bike Rack Brewing and 225 Event Center. Northwest Arkansas is home to world class restaurants, accommodations and attractions. Thankfully, we are now attracting unique and quality festivals to the area, and the Power of Music Festival is a festival you simply don’t want to miss.